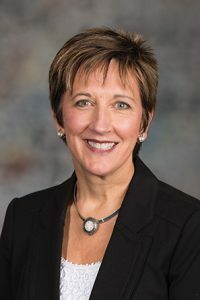 LB283, introduced by Lincoln Sen. Patty Pansing Brooks, would require the University of Nebraska to develop an evidence-based, data-driven, climate change strategic action plan. Pansing Brooks said the measure would help Nebraska better prepare for the increasing effects of climate change, including pests, soil erosion and extreme weather patterns. Thirty-four states already have developed similar plans, she said. The study would be funded by a transfer from the Waste Reduction and Recycling Incentive Fund, not to exceed $250,000. The bill also would require that the University of Nebraska submit the action plan to the governor and Legislature by Dec. 15, 2020. Former Sen. Ken Haar testified in support of the proposal, calling climate change “global heart disease” that needs to be addressed in a timely way rather than ignored. According to the National Oceanic and Atmospheric Administration, he said, the last five years are the warmest ever recorded in the 139 years that the organization has been tracking global temperatures. Martha Shulski, state climatologist and professor of applied climate science at the University of Nebraska-Lincoln, also testified in support of the bill. She said the state should act before the full impact of climate change is felt in Nebraska. “When is the best time to plan for a changing climate? That time is now,” Shulski said. Testifying against the measure was Jane Polson, president of Keep Nebraska Beautiful. Polson said her sole opposition was to the fund transfer to pay for the proposal. A climate action plan is not among the narrowly-defined authorized uses of the Waste Reduction and Recycling Incentive Fund, she said. In her closing statement, Pansing Brooks said she was open to exploring other funding sources for the bill. The committee took no immediate action on LB283.